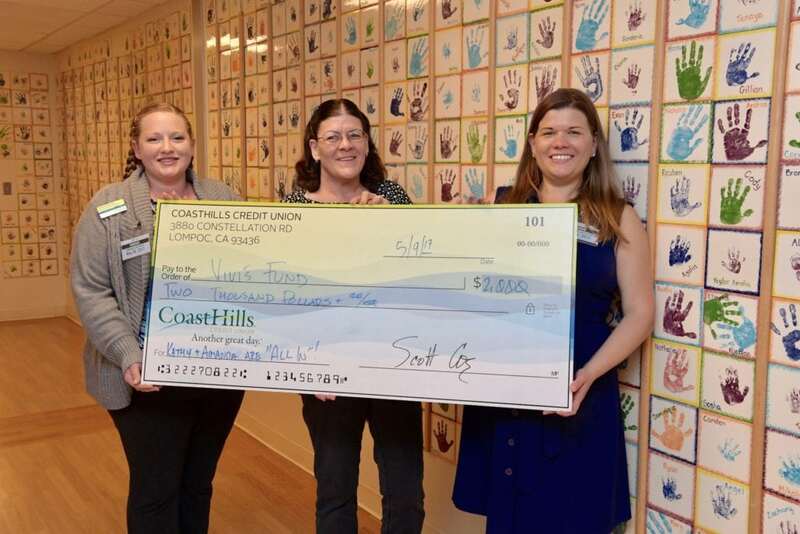 CoastHills Credit Union employees Amanda Berrier (left) and Kathy Young (center) are “All In” for Vivi’s Fund (NICU Family Assistance Fund) at Cottage Children’s Medical Center. Through their “All In” employee giving program at CoastHills, they each designated $1,000 to be donated to Cottage. At right, is Amanda Hollingworth, Community Relations Officer. Thank you for your generosity!